Is your Samsung Galaxy S7 exhibiting signs of slowing down? Is an app always freezing or crashing? Do you wish to free up space on your phone? If you answered yes to these questions, then you must learn how to clear cache on your Galaxy S7. Clearing cache may sound like a complicated task, but on the contrary, it’s quite easy to do. Moreover, it is something that every Android phone user should be familiar with. Cache or cached data is one of those technical terms that you may have heard of before. Cached data is simply information that comes from an app or website. The information is stored not only on a smartphone but also tablet or computer. Cached data is stored on a device so that the next time you use it, the computer or tablet or in your case, the Galaxy S7, will be able to give it to you in the shortest time possible. Let’s cite a simple case for you to better understand cache. When you visit a place for the first time, you take down mental notes of the landmark, route and other clues that you can use the next time you go to the said place. These ‘clues’ would let you go to the same place in a quicker and easier manner. That’s how cached data works. 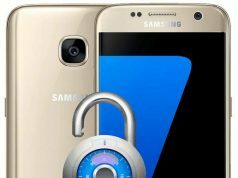 When the Samsung Galaxy S7 visits a website or uses an app, it stores certain information in the form of cached data. Thus it would be easier for the Galaxy S7 to access the website or launch an app because of the data stored in its memory. The problem with cached data is that it can take up space on your Samsung Galaxy S7. While the Samsung Galaxy S7 has a roomy 32GB of internal space, cached data can eventually catch up on you especially when you have a lot of apps on your device. Cached data is very helpful for websites you regularly browse but it’s a complete waste of storage space for websites you visit every now and then. There are two types of cache stored in the Samsung Galaxy S7—app cache and system cache. As the name suggests, app cache allows for temporary data to be stored on the Galaxy S7’s internal memory. This allows the S7 to have a quicker response time when switching between apps. On the other hand, the system cache stores data for the Android software instead of individual apps. The system cache has all the stored data not just for websites that you have visited but also all the apps used on the smartphone. When to clear app cache? Clearing the app cache is an effective way of solving apps-related problems. For example, you are playing NBA 2K on the Samsung Galaxy S7 when it suddenly hangs in the middle of a game. You re-start the game only to be disappointed when it crashes again. Clearing the app cache can solve this problem. 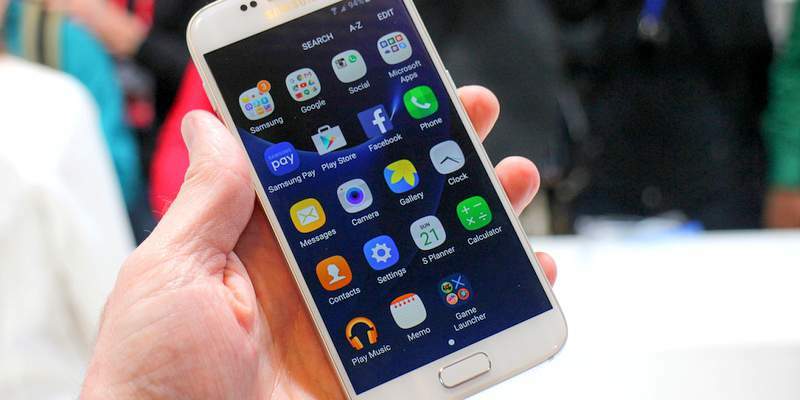 Although space may not be much of a concern with Samsung Galaxy S7 users thanks to the 32GB memory of the device, clearing the app cache can also save you space. For example, podcast apps can store a lot of data on your device. Clearing the cache of these apps can clear around 100MB or so of space on your S7. Go to Settings then click on App Manager. Select the app that has been exhibiting problems, or you want to clear the cache for. Look for the app info screen then select Clear Cache. You can also clear the cache for all apps. Simply go to Settings then click on Storage and look for the Cached Data tab. Selecting or enabling this function will clear all app caches. Clearing the app cache may not apply to certain apps, though, like Google Playstore and Phone dialer. However, you should be aware that clearing cached data for all apps will lead to your phone losing information like username and password. 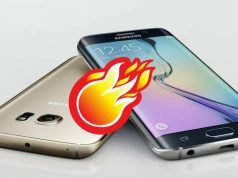 You will also lose game progress, setting preferences, and other information that the Samsung Galaxy S7 stores in its internal memory. Clearing app cache data can be likened to resetting an app to its default state. In simplest terms, an app will act like ‘new’ when its cache has been cleared. Let’s go back to our example of NBA 2K. When you clear its cache, you will have to change the settings of the game again to suit your personal preference. You will also observe that it would take a while for apps to launch after you clear their cache. But don’t worry, as the Samsung Galaxy S7 will store data again. You will notice that the device will launch the app faster and smoother the next time you use it. What to do when clearing the app cache doesn’t work? If the app continues to exhibit problems, or the Samsung Galaxy S7 remains slow, the next best option is to clear the system cache. Clearing or wiping the system cache will not only address app-related problems. It can also address different bugs and errors, like unresponsive power buttons, phone freezes, and intermittent Wi-Fi. Turn off the Galaxy S7. Press and hold the following buttons at the same time— Volume Up, Power and Home. Wait for the Android logo to show up and for the phone to vibrate. Let go of the Power button even as you continue to press the Volume Up and Home buttons. Use the volume buttons to scroll down to Wipe Cache partition. Press the Power button. Scroll down to Yes then press the Power button again. Scroll down to Reboot System Now, then press Power button. That’s it. The Samsung Galaxy S7 will reboot with a cleared system cache. Your phone should now work faster.